It was the former US President, George Bush, who warned Third World Leaders not to run away with the idea that they can rob their nation blind then go splurge the money in the US. Bush had said that it would not be allowed. That policy remains and the United States is willing to help Guyana, within the confines of a legal agreement, to track down those who may have sought to stash illegally acquired money in the US. This was revealed during a recent interview with the US Ambassador, Perry Holloway. 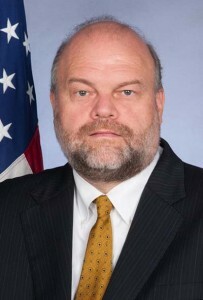 The US Chief said that his Embassy is constantly in touch with Special Organized Crime Unit (SOCU), Customs Anti-Narcotics Unit (CANU) and the Guyana Revenue Authority (GRA) and other entities. There has been a great deal of information sharing, he said. Holloway said that the presence of the Drug Enforcement Administration (DEA) in Guyana will also serve to enhance such information sharing. However, despite all the complaints made by local government officials about the constraints attached to trying to track stolen state cash that may have been stashed in overseas territory, Holloway said that Guyana has not formally approached the US for information in this regard. Nevertheless, he made it clear that the US is ready to assist once there is a “legitimate case” and if the information is requested though the legal mechanisms in place. Further, the US Chief of Mission said that dual citizenship will not stand in the way of any legal actions that the US is asked to take. “The US does not publicly release information on its citizens but we will surely release information needed for a valid law enforcement investigation. There is a process to be followed under the mutual legal assistance agreement but we can do that,” said Holloway. The Financial Institutions (Amendment) Bill which was recently passed in the National Assembly is another tool that helps the sharing of information between the US and Guyana. That Bill was passed to secure compliance with FATCA recommendations. It gives GRA the lawful go ahead to access all suspicious bank accounts. In addition, it paves the way for a relationship with the USA that allows Guyana to know the financial standing of all Guyanese citizens with bank accounts in the USA. Reciprocally, the GRA will be required to send bank statements of all American citizens residing in Guyana and even Guyanese who may have ties to the USA, even by marriage. He said that there have been no moves on either side to get information but stressed the fact that it can happen at any time because “the capacity now exists”.